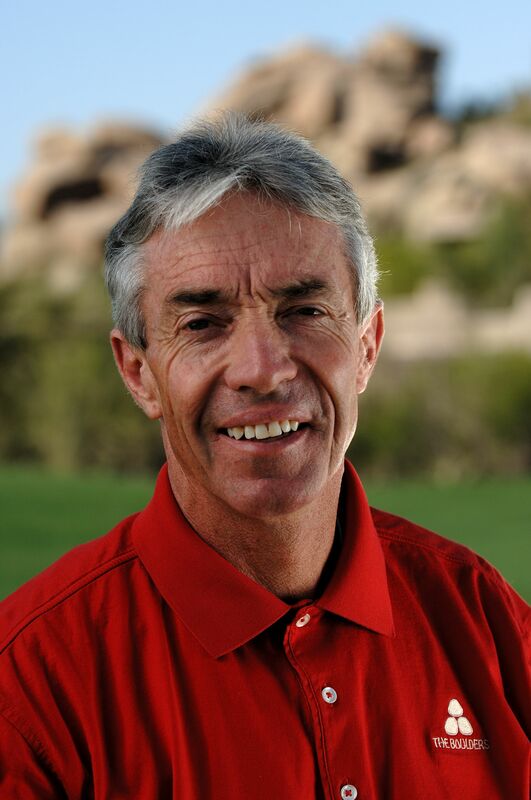 Welcome to the Golf Simplified School with Donald Crawley – Class A PGA member, British PGA member and voted TOP 10 best instructor in the state of Arizona by Golf Digest, and TOP 100 Teacher in America by GOLF Magazine 2017-18 and since 1999. Also voted three years in a row as “Best Instructor in the valley” by Arizona Foothills Magazine. You can visit Donald at the world renowned golf resort The Boulders, Carefree, AZ or have Donald bring the School to you! Donald teaches at North Shore C.C, Glenview,IL in the summer. Non members are welcome to take instruction. He also visits his top 3 clubs in Michigan, Crystal Downs, Frankfort, Wequetonsing, Harbor Springs, and Marquette GC, Marquette. He runs a playing school in Scotland every year, so put together your own group of 3 or 7 players. Contact Donald directly to make your own arrangements for a private school, at your home course. “Donald has been a huge help to the members over the years on his annual visit to Crystal Downs. We only hope he continues to bring his enthusiasm and skills to the club for many years.” Fred Muller, Director of Golf, Crystal Downs Golf Club, Michigan (#13 TOP 100 golf courses in America). “Thanks for bringing your GolfSimplified School, twenty years in a row, to help the members improve and enjoy their golf.” Mike Ingram, Director of Golf ,Brays Island Golf Club, Sheldon, South Carolina. You can improve your game at your home course. Donald comes to visit you and your private group, at your own course. My school teaches simple techniques that will improve your game. I will work with you on your home course on the tee and on the course , continuing to provide you with constructive tips to better your game. GolfSimplified offers custom lesson packages for groups and individuals ideal for a business group, families and children. Please contact me if you have any questions or would like to bring Donald and GolfSimplified to you.